December | 2011 | Mediascope, Inc.
As 2011 winds to a close, it is time to step back, take a deep breath (perhaps a very deep breath), and take a look at what did and did not happen this past year, along with what needs to happen next year. Most people think they review the previous year but do you really do it? Do you set aside time to look at the successes (and not-quite successes) you and those around you have experienced? Is there something you could have done to get more tick marks on the success side of the tally sheet? Sometimes it helps to break the year down into categories: by month, by customer, or by personal achievements. As you do this, take notes, either on paper or in a Word or Excel file. 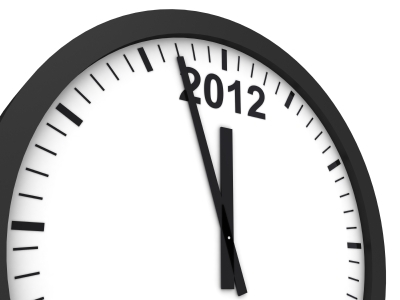 Next year at this time, you can look back and compare 2012 to 2011 and see where you made gains. Look back at your calendar. What appointments did you have that led to more business or a better relationship? Why? What made those appointments different? What meetings or appointments did you have that didn’t go the way you wanted them to? Why? Was it lack of research or time set aside for planning? What could you have done differently? How did your revenues and expenses compare from month to month? If you have spikes in either, is there anything you can do to even them out? Review your list of customers. Who moved up and who moved down the list of most profitable customers? From what areas did the shift in business come? How did your customers do this past year? Did you take advantage of opportunities to help them grow? If their success is your success, how can you help them succeed in 2012? Did you take time to improve your knowledge base or share your knowledge with customers or co-workers? Remember, one’s imagination is limited by one’s knowledge so keeping people informed opens the door to new possibilities. Do you see any trends? Were some months more successful for you than others? Success for you could be measured in terms of profits, new customers, low turnover, low rework numbers. What can you do to see better results in the months which were less successful? More marketing efforts? Better training of staff in order to fill in while you or others are on vacation? What about you? Did you achieve your personal goals in 2011? Have you set goals for 2012? Have you set checkpoints in your calendar so that you can assess the status of your goals? It’s easy to get caught up in day-to-day stuff and forget to take stock of where you are. However, having reminders forces you to make sure you’re heading in the right direction and, if not, reassess and redirect your path. Planning a mailing for the beginning of the year? You may want ensure it hits the mail stream before January 22, 2012 when postage rates will increase. Overall, the rate increase for First-Class Mail will be 2.133%. As part of that, First-Class stamps will go up a penny to 45 cents. Forever stamps will also increase to 45 cents. 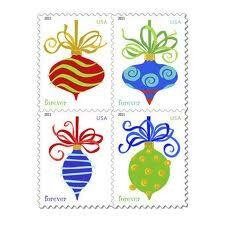 Keep in mind that you can buy extra Forever stamps now (before January 22nd) and mail next year’s holiday cards at 2011 prices. Commercial First-Class first-ounce price increases range from 1.6% ($ .006) to 3.6% ($ .014), depending on presort level. The cost of a Postcard Stamp will jump 3 cents to $ .32, letters to Canada and Mexico will increase 5 cents ($ .85), and letters to other foreign countries will increase 7 cents ($1.05). The overall increase for Standard Mail will be 2.124%. As part of that, presorted letter prices will go up an average of 1.867% and the average presorted flat rates will increase 2.209%. Carrier Route rates for all processing categories will go up 2.425%. There are a couple of pieces of good news, however. When the new prices go into effect on January 22nd, the second ounce for presorted letters will be free. This allows marketers to plan more elaborate mailings, plus lets companies advertise expanded services and special promotions to their customers as part of invoice and statement mailings. Also, nonprofit letter size mail will receive an across-the-board $ .002 per piece reduction in postage. Postage rates are complicated due to the many variables which affect them. Talk to your mailing partner about what options work best for you and see if there is an advantage to getting a mailing done before the rate increase. In last week’s blog, Giving Praise in Business Relationships, we talked about the importance of giving praise. What do you do when you don’t feel you get enough praise? You may be surrounded by people who find it hard to offer praise. You may hold a position as a business owner or a top-level manager where praise just isn’t found as frequently, no matter how good of a job you do. 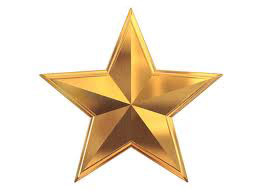 Whatever the reason, many people crave the proverbial “gold star” and don’t receive it. Tell those closest to you that you want feedback. Feedback can come in many forms including an employee review by your supervisor, a letter of recommendation, a peer review by those you work with, or a testimonial by a customer. Personally, I’m a bit of a gold-star junkie. The realities of business, however, is that — unlike school — gold stars are hard to come by in a professional setting. As an employee, I may not get recognition for completing a project well or on time, but I have learned to enjoy the self-satisfaction of checking off each item. And if I had help in completing the project, buying doughnuts for the team is a great way to celebrate. Ask yourself if you’re handing out praise. If you want people to act a certain way towards you, you need to act that way with them. The added benefit to this is that if you push yourself to feel grateful for others, chances are you will be reminded of how much they do for you. It makes it easier to offer heartfelt praise or thanks. As ironic as it is, the more reliable you are, the more likely you are to be taken for granted. Everyone appreciates the kind, consistent, on-top-of-things-type-of-person, but they may never think to thank or praise that person for those very things they appreciate.